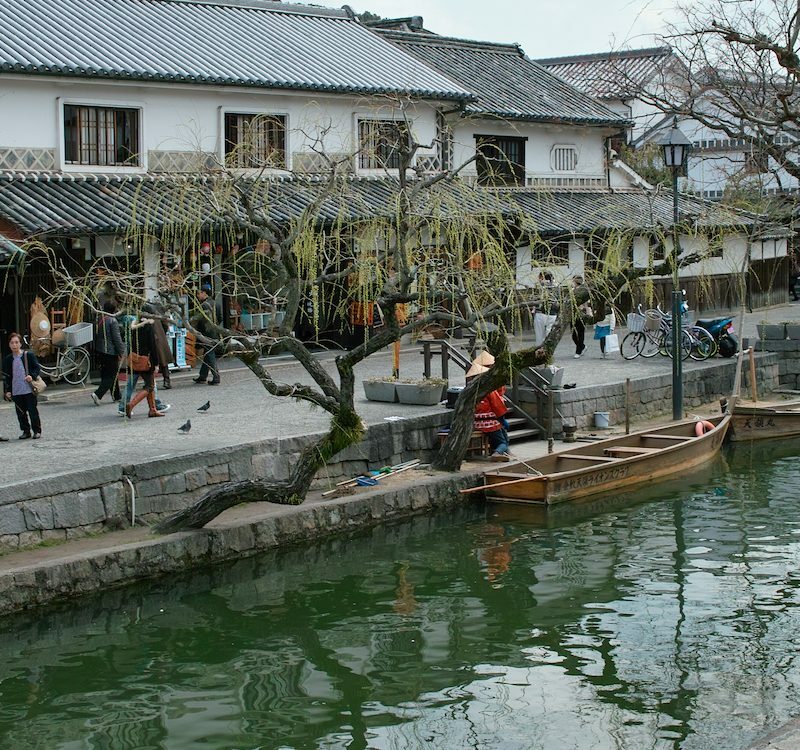 If you’re a fan of traditional Japanese outdoor baths – commonly referred to as onsen – then a trip to Oita City in Japan is sure to be a trip worth taking. 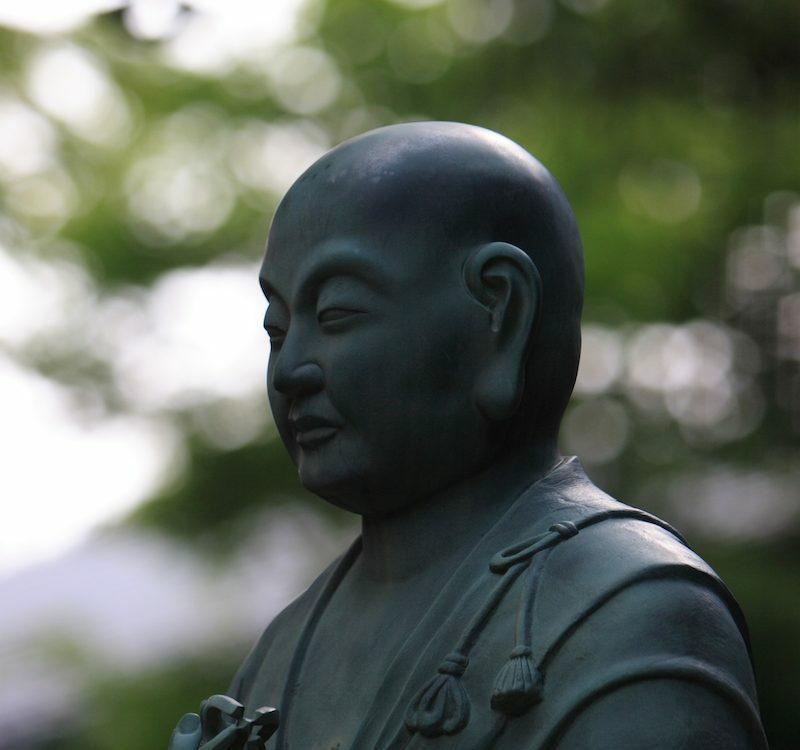 If you’re more into historical context and traditions, Oita also offers a unique view into a time when Japan was first introduced to Christianity and religion from their European neighbors. This gorgeous seaside town features plenty of things to do including museums, art galleries, shrines, temples, onsen, and wildlife for guests to enjoy all year long. 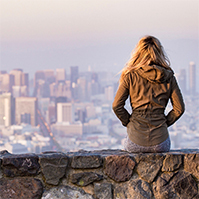 Even the pickiest of travelers are sure to find something they like while traveling through this interesting and one-of-a-kind city! 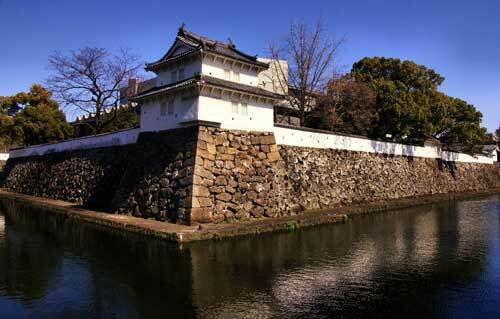 Just a short walk from the nearest station, Funai Castle is an interesting historic site that features the ruins of a castle built in 1597. You can view the castle’s remaining gates, water moats, stone walls, and turrets that have survived the test of time and retained their original structure and integrity. Along with the castle, there’s a surrounding park with lovely sights and traditional scenery. It takes nearly an hour to explore the entire ruins, so be sure to plan accordingly if you want to see the entire area! Located near the Sendai Castle grounds, the Gokoku Shrine is one of the most visited shrines during the New Year holidays in the Oita Prefecture. 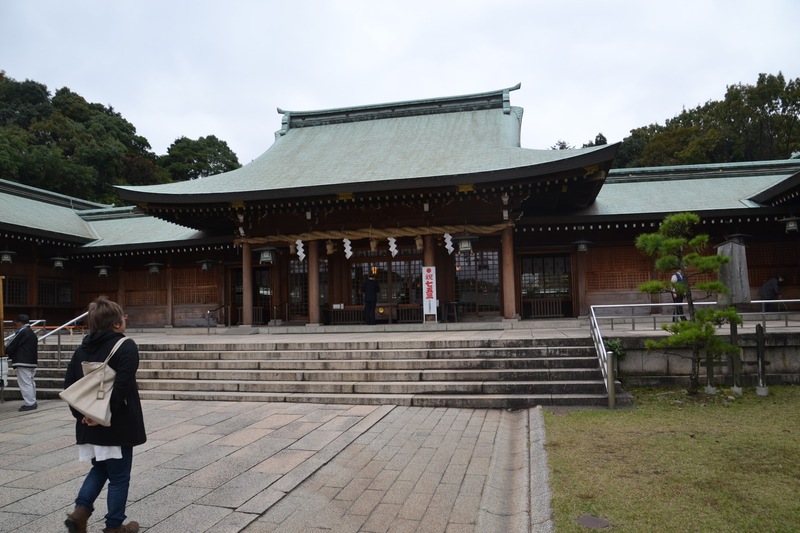 The name of the shrine translates to ‘guarding the nation’, as the shrine was originally built to enshrine Japanese soldiers who fell during civil wars fought in the last few thousand years. The shrine has been adapted to enshrine the spirits of police officers and firefighters who died in the line of service as well. Overall, this shrine serves as one that pays homage to those who did everything they could of protect the country they loved. 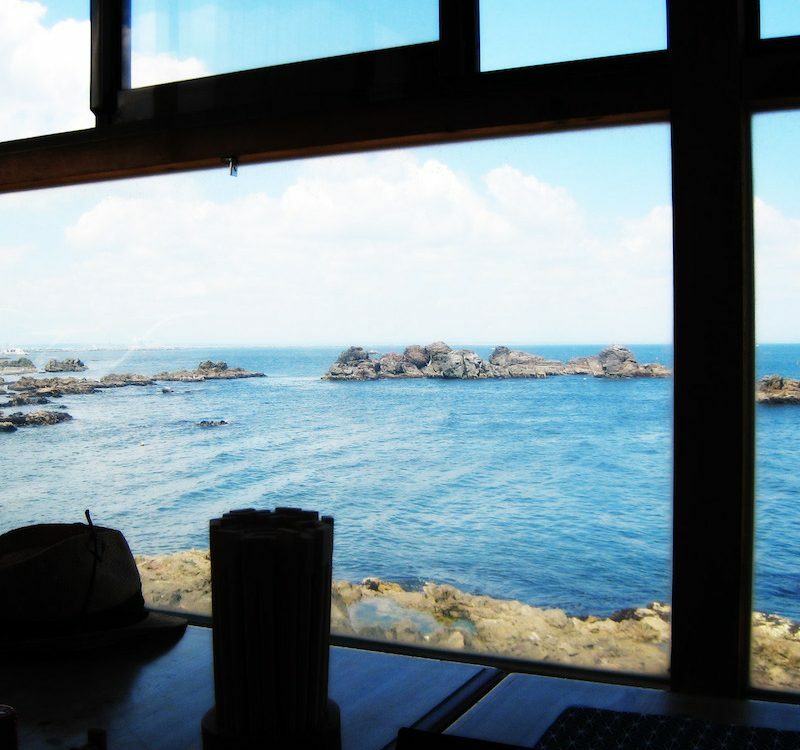 Not only will you get the opportunity to take a relaxing bath in a hot spring at this amazing location, but you’ll also get the chance to take in some of the most beautiful sights in the city as you overlook the magnificent Beppu Bay. This hot spring features both private and public baths, which might be a good solution for travelers who have tattoos (which are generally unacceptable in the majority of public baths in Japan). 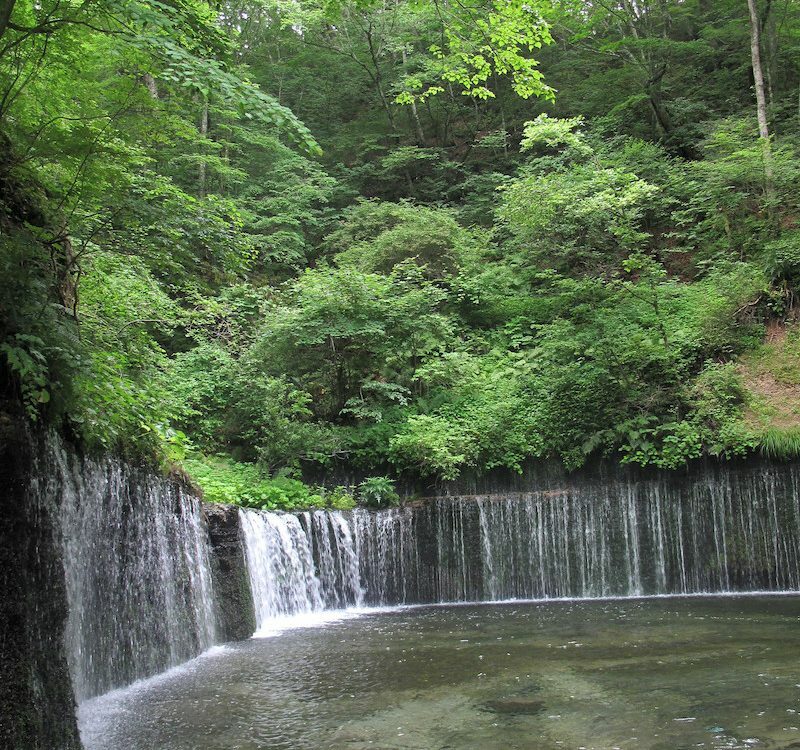 Take a dip in the steaming-hot, mineral rich waters that Oita is famous for and find your inner zen! And make sure to read our Onsen Etiquette article before heading there! 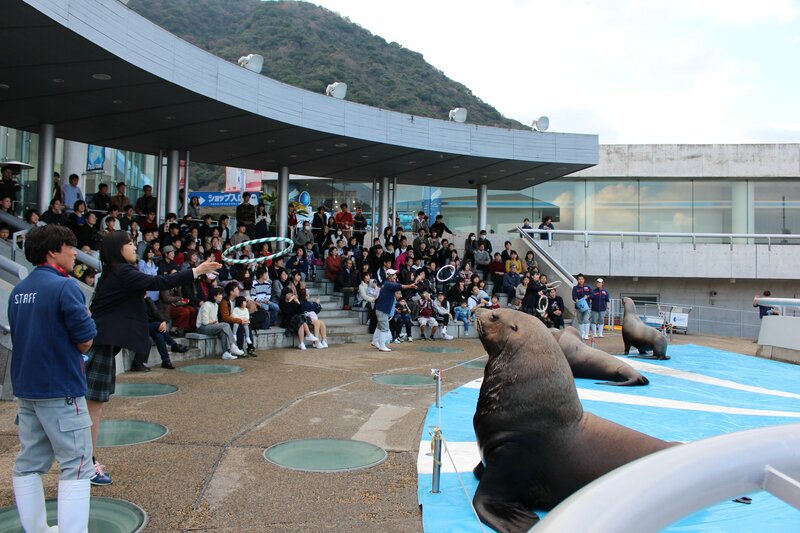 One of Japan’s nicest, cleanest, and largest aquariums is Umitamago in Oita. Not only will you see interesting and exotic species of aquatic life, but you’ll also see unique architectural tanks and enclosures that were created to showcase the beauty of the animals that inhabit them. Incorporating both the aspects of a modern art museums and the traditional style of an aquarium, this location is one of the best must-see sights in Oita! Be on the lookout for penguins, seals, otters, dolphins, exotic fish, and more! Open almost every day of the week and free for guests to enter, the Sano Botanical Garden is a great place to visit and stroll around. Especially good for those traveling with younger members, this park is great for relaxing, unwinding, and taking a breather from a hectic and busy journey. The park is exceedingly popular in spring when the cherry blossoms are in full bloom, though the garden always has at least a few of their flowers showing off their petals all year round! 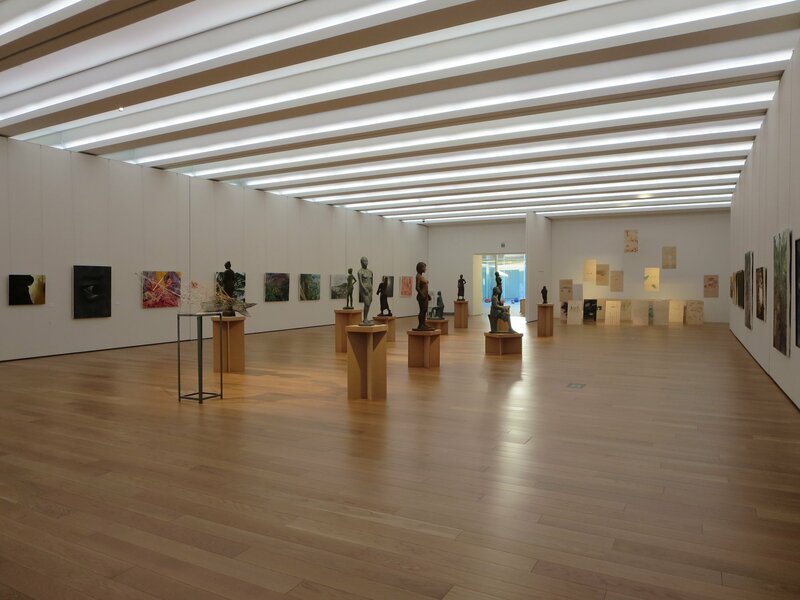 Just 30 minutes outside of central Beppu, the Oita Prefectural Art Museum opened its doors in April of 2015 and has since been educating and inspiring visitors from around the globe. The building itself was designed by Ban Shigeru, a Japanese architect who’s best known for all of his amazing designs that incorporate the unique structural elements found more commonly in paper cardboard. 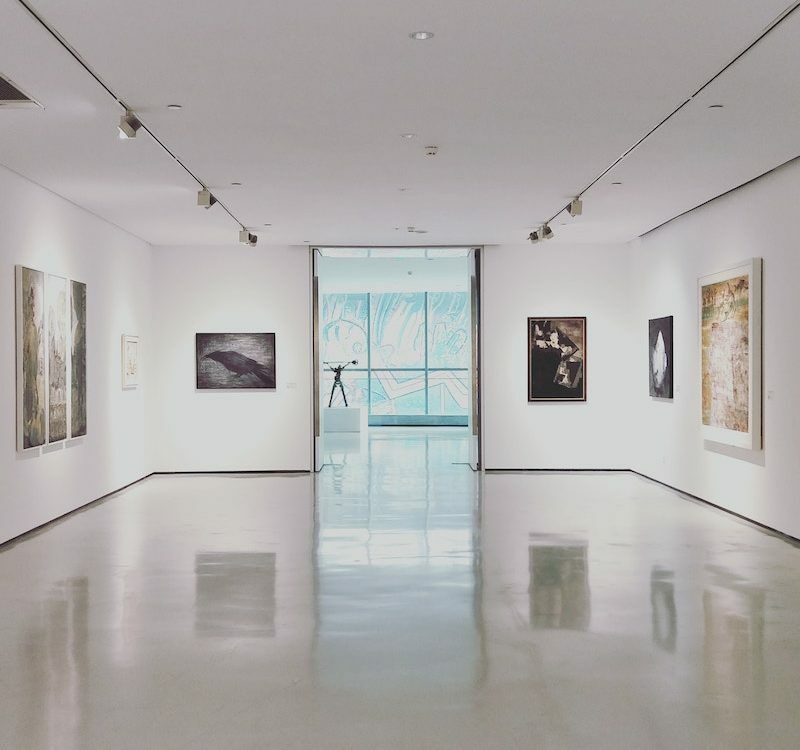 You can find the art galleries on the third floor, though it may be hard to tear yourself away from the amazing installations and museum shop found on the first floor. Overall, there’s plenty to see and experience at this amazing location! Upon arriving at the park, it’s nearly impossible not to notice the large, raised structure featured directly in the center of the area. The burial mound, which is part of the area of historical study, has been restored to its former glory to give you a glimpse into Japan’s rich, cultural past. If you’re not one for historical spots (or the nearby historical museum), you can also enjoy the surrounding cherry blossom groves! The scenery is great, the location is open and inviting, and the sights are hard to find elsewhere; all of these and more are great reasons to visit Kamezukakofun Park in Oita! You may be confused to see that a roadside station made this list, but even the most mundane and ordinary things can be turned into a delightful experience in Japan! Not only is the surrounding area breathtaking and beautiful, but the station offers a nice, relaxing area to rest and recharge after a long day of travel. You can buy fresh and local produce, eat a full meal of ramen, burgers, and other mouthwatering dishes, and even snack on delicious ice cream! Children can even run about freely and safely while adults enjoy the calm, quiet atmosphere. 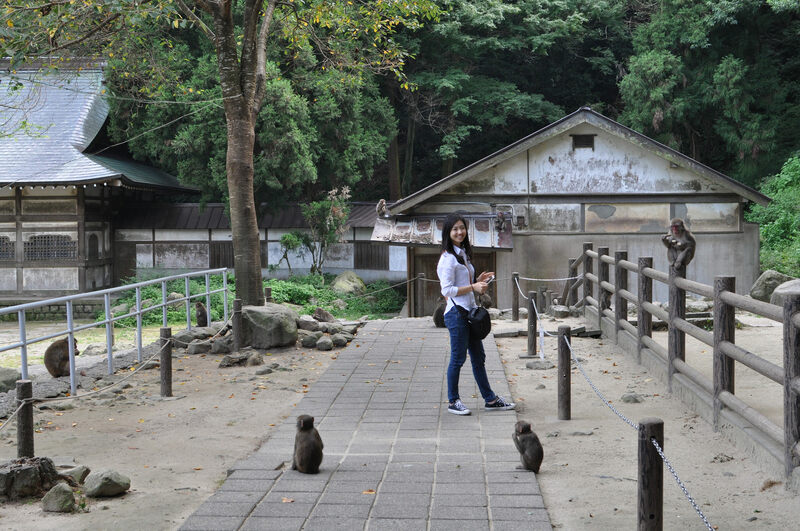 If you want to get up close and personal with over 1,000 wild monkeys, then head over to the Takasakiyama Natural Zoological Garden for the chance to do so! Though the monkeys are indeed wild, food is provided for them at specific locations in the garden every half hour so that visitors can get a closer view of these adorably hilarious creatures. The monkeys are well protected, and guests are prohibited from hurting or frightening the shy, innocent animals. You can learn all about the monkeys from the staff, or just watch them and find out for yourself what they’re like! A beautiful Shinto shrine located in the foothills west of Oita City, Yusuhara Hachimangu is a diamond in the rough that many overlook. 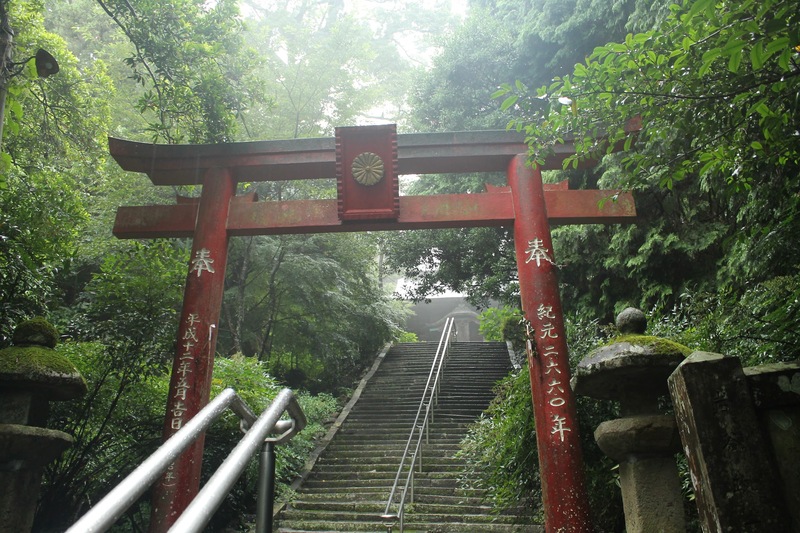 The trek to get to the shrine is as interesting as it is unforgettable, as guests will start their journey up to the shrine using a long flight of stairs that cut straight through a dark forest and lead to the Great South Gate. 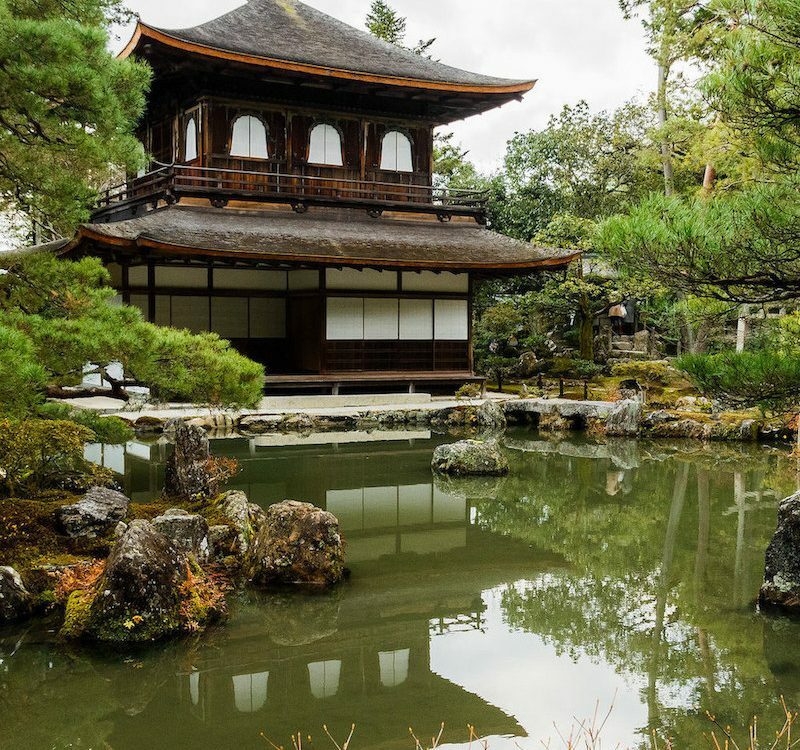 Along with the impressive architecture, visitors will also get the chance to see amazing natural wonders, such as massive, ancient camphor trees, white blossoms, and surrounding foliage. If you’re a fan of archery, you’ll be happy to know that there is a dedicated space next to the shrine where locals practice the sport! 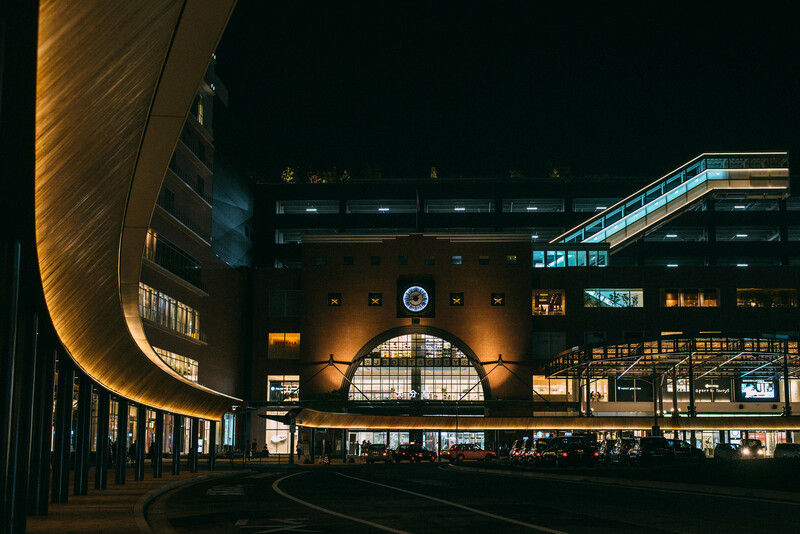 Though Oita city doesn’t boast the same crazy or busy atmosphere that can be found in other cities in Japan, the serene and calm vibes are perfect for relaxing and immersing in Japanese culture, tradition, and history. 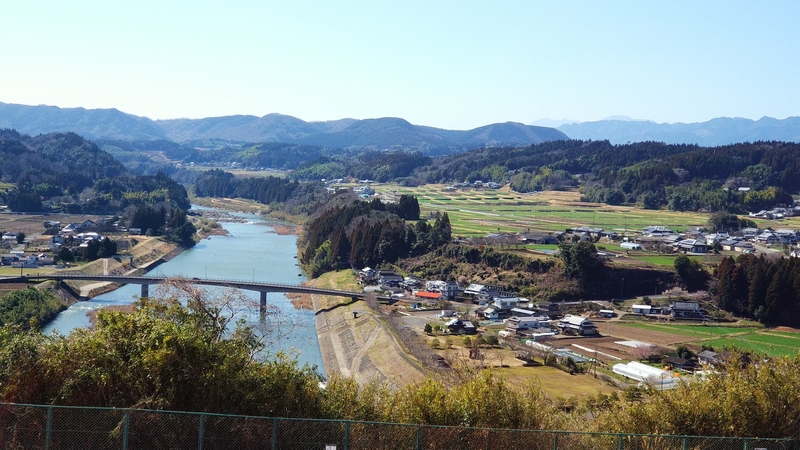 So come see some monkeys, take a bath in a natural spring, learn a thing or two about Japanese art and history, and find out just what makes Oita one of the best cities to visit when traveling through Japan!